As some of you may know Google is doing away with Google Reader in the near future and possibly Google Friend Connect. Why? I have absolutely no idea. Alas! I have numerous ways for you to keep up with my tom foolish antics and nail polish! Tumblr- For those of you like my blog but want less words. Facebook- If you think I'm worth hanging out among your friends in your news feed. 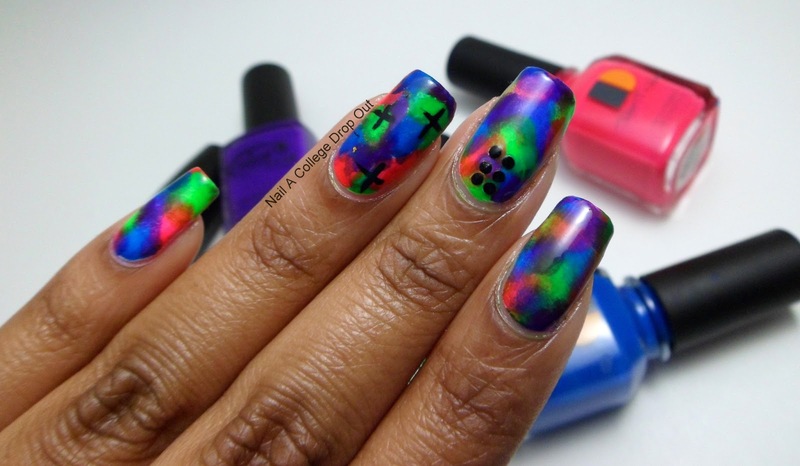 Twitter- If you want more sarcasm and nail art in your time line. Pinterest- If you like looking at pretty pictures all day long. Google+- Honestly I'm not sure what Google+ is all about but you can find me there! Instagram- Let's face it. I'm kinda strange and you love my recent Old Navy photo shoot. Last, but certainly not least, I'll always be here waiting for you at NailACollegeDropOut.com! P.S. I feel strange leaving this post with npictures so here is one of my favorite manicures!